Apart from Voodoo Omen desktop and Voodoo Envy 133 notebook, HP has also announced the launch of its new TouchSmart family of PCs – IQ504 and IQ506, which include HP software designed specifically for touching capability, allowing users to access and interact with their media without the need of keyboard or mouse. 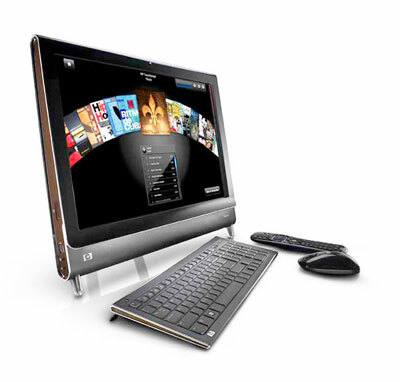 The new HP TouchSmart PCs incorporate a 22-inch diagonal, HD widescreen display, energy-efficient Intel Core 2 Duo processor, 4GB of RAM and integrated WLAN, along with wireless optical mouse and low-profile wireless keyboard with numeric keypad. The HP TouchSmart IQ504 PC (base model) and TV-tuner equipped TouchSmart IQ506 PC are expected to be available soon for $1,299 and $1499, respectively.